Hawaiian Telcom Holdco, Inc. said Monday net income for the first quarter was $1 million, down 59 percent from the prior year primarily due to investments in the company’s broadband fiber network and transpacific cable system. 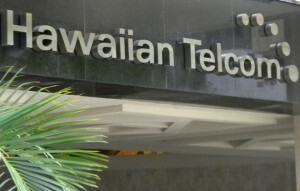 Hawaiian Telcom CEO Eric Yeaman said, “Our investment is about 25 percent of our revenue. We’ve been investing more than any company in our industry. We’ve been doing it because we believe it is going to drive growth but we also believe it is the right thing to do for Hawaii.” Read More….